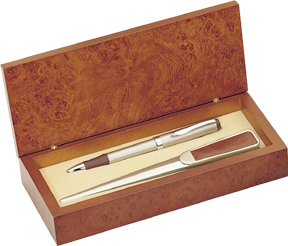 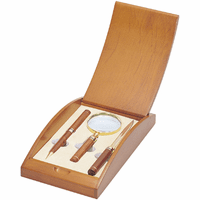 This burl wood finish wooden box gift set features a chrome ballpoint pen and letter opener, each accented with elegant brown leather. 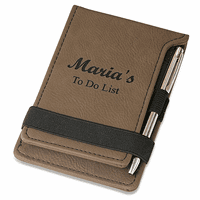 Its a great gift for a newly promoted coworker or friend, it will coordinate beautifully with any desk. 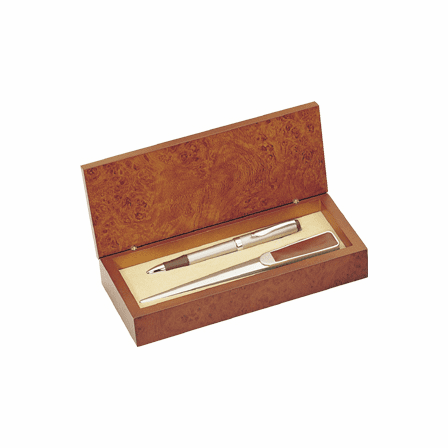 You can add the personalized inscription of your choice free of charge by checking the Personalize It box above. 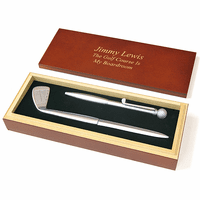 We'll laser engrave your message onto the front lid, turning this desktop pen and letter opener gift set into a one-of-a-kind personalized gift. 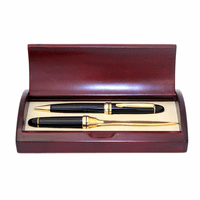 Dimensions: 8 1/2" x 4" x 1 3/4"
Quality, nice wood box the gift comes in.